What did parents do to entertain children before the smart phone? Oh, that's right they sent them outside to play. I am all about letting my little ones play outside and dig in the dirt until their heart is content. Sometimes when we are waiting at the doctor's office or at a restaurant with friends and the conversation is lasting well past the meal, I pull out the iPhone and let my 4 year old play with the preschool apps. There are a great variety of free flashcards, coloring pages, videos, and matching games to play. These are my (or should I say J's) favorite preschool apps. 1. INKids Flashcards +. These flashcards will spell the words, pronounce the words, and make the sound that the animal or vehicle makes. It is great for the in between toddler and prek stage. 2. Talking Gina. I don't mind J playing with this one as long as he is nice to the giraffe. It helps teach kids that animals have to be fed and loved. 3. Coloring. This app offers easy to use coloring pages, and can occupy my kiddo for a good 30 minutes. It is easy to use, and I didn't have to show my little guy how to use it. 4. Match Animals. Camouflaging leaning is wonderful. With this app they are learning memorization along with different animals and the sounds they make. 5. Animals Coloring Book. The app will allow the child to select different coloring books based on subject. Dinosaurs and Animal Activities are the most used on my phone. 6. Jungle Animals is another matching game, but with stickers. What preschooler is not crazy about stickers? 7. Thomas and Friends Engine Activities. J loves this one. If you have a little boy that is crazy about trains then this app is a necessity for your phone. 8. Chugginton. Again, this is a train app, but it is more interactive and requires the player to move and direct the train around the track. It is not the most educational app, but it keeps my little guy happy. 9. PBS Kids. This offers free videos of the cartoons like Curious George, Sid the Science Kid, and Super Why. These are educational, but I have to limit how long my kiddo can watch or he would spend all day on this one app. 10. Giraffe's Matching Zoo. This is another matching game that is a little more advanced. It is with cartoon animals and shapes instead of pictures of animals like Match Animals. 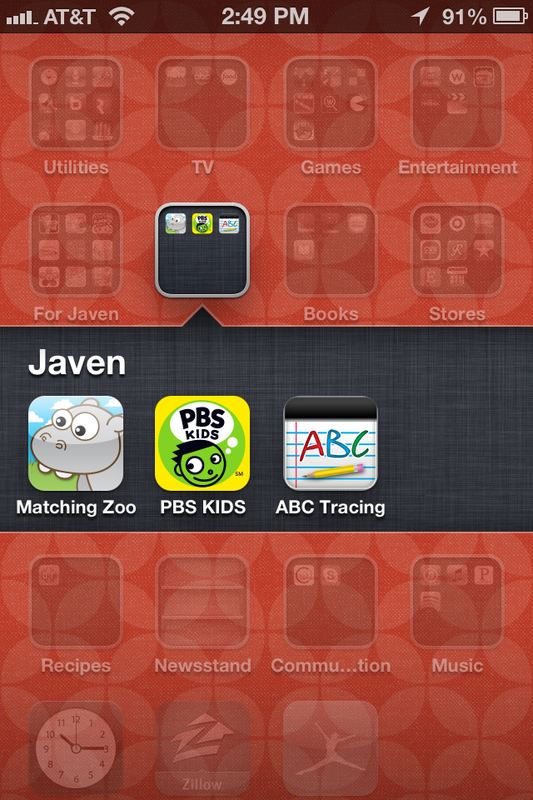 There are a ton of great free apps for kids. I have not paid for one app yet, and J and I are happy with the selection. As they say, kid tested and mother approved.